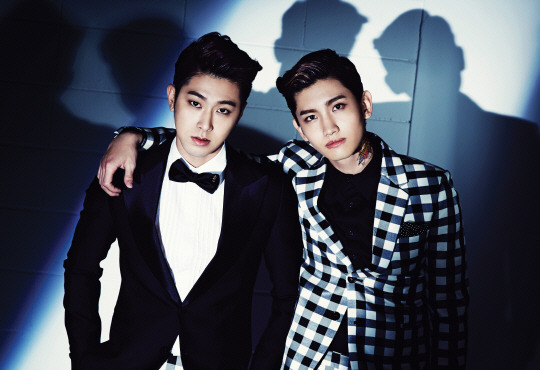 TVXQ’s 7th album has topped last month’s monthly album sales charts. Released on the 6th of January, TVXQ’s 7th album ‘TENSE’ topped the monthly album sales charts of various ranking systems like the Hanteo Charts and Synnara Records, proving the group’s status as the king of albums yet again. Their title track ‘Something’ topped Soribada’s weekly charts for its fourth consecutive week, and scored a triple crown title on Mnet’s ‘M! Countdown’ on the 30th of January with its third consecutive win. Meanwhile, TVXQ will be wrapping up their activities for ‘Something’ this week with appearances on KBS2’s ‘Music Bank’ on the 7th, MBC’s ‘Show! Music Core’ on the 8th, and SBS’ ‘Inkigayo’ on the 9th.